Our Rent a car manila terms and conditions. Take pride in our commitment to giving the cheapest rent a car prices thats why unlike other car rental companies in manila,philippines. Rent a car manila terms and offers are published in our website. As well as our rates to further push thru our promise of upfront pricing. A web page shows our clients and renters what their getting in to. 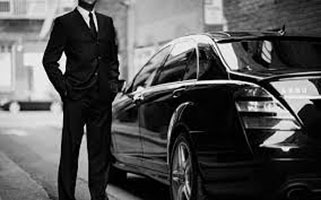 With services terms and agreements either self driven and chauffeur with driver car rentals. Upon signing (back of rental agreement that will be presented) you accept the conditions of this rental agreement. PLEASE READ THIS CAREFULLY. If there is anything you do not understand or do not agree please ask any member or staff at the place you rented the vehicle form. Any misuse or unfair usage of the vehicle like: battery discharge, tire burst, vomiting, pet urinating or defecating & alike. Let us know as soon as become aware of a fault. Usage of fuel, parking, road toll and alike are to be paid by the Renter. By signing the agreement over the page you are accepting the conditions of our vehicle’s policyRenter agrees to pay the insurance participation (deductible) fee and/or betterment charges. Lessee agrees to pay a JUST COMPENSATION FOR THE VEHICLE’S LOSS DAYS REVENUE, due to repair work or replacement if partially damage, and totally damage or stolen vehicle. THE MAXIMUM LIABILITY in case of severe damage, total loss and/or total damage due to accident, theft and Act of Nature is equivalent to twenty percent (20%) of the vehicle’s value as stated in its current comprehensive insurance. Clients/Renter may opt-in for a collision/Loss Damage Waiver (CLDW) for an additional fee, which reduce your MAXIMUM LIABILITY in case of severe damage, total loss and/or total damage due to accident, theft and act of nature is equivalent to TEN percent (10%) of the vehicle’s value as stated in its current comprehensive insurance. There is no penalty fee for making the following changes: car type, add-on GPS navigator, baby/child car seat, road assistance, and switching pick up locations within serviceable area.Not-allowable changes includes: method of advance payment; name of reservation; changing dates later than the original. If you wish to make these changes, you must cancel your original Car Rental Agreement with applicable cancellation fee and re-book at the current rates. If you need to cancel at least 6 days ahead of your scheduled pick up date, you may cancel and request a refund less a PHP 3,000.00 cancellation fee. Cancellation your reservation within 6 days of the scheduled pick up date or if you fail to pick up the rental vehicle, you may request for a refund less PHP 6,000.00 cancellation fee. We understand that sometimes your travel plans change. But, NO REFUND for pre-termination (early check-out) of on-going rented car. To request for a refund, you must send an email at booking@carrentmanila.com the soonest. Refund (prepaid amount less cancellation fee) will be returned either by cash or check. This Agreement is government by the laws of the Philippines in which it is signed. Any dispute may be settled in the courts of Manila, Philippines. Before we deliver the requested car service, PLEASE THIS CAREFULLY. If there is anything you do not understand, please ask any member or staff for clarification. Disagree with any of the terms and conditions below is equivalent to cancellation of your rental. You are responsible for any misuse or unfair usage of the vehicle like: battery discharge, tire burst, vomiting, pet urinating or defecating & alike. Client passenger responsible for usage of fuel, parking, road toll and alike. Item(s) left behind by Client and brought under the notice of our staff is termed as “Lost and Found” item.A period of two (2) months for non-perishable value item(s). And two (2) days perishable item(s). Disposal for such item(s) will be conducted after the prescribed holding period. Driver’s meal and lodging if overnight is not mandatory but highly encourage for better rapport. Reporting any tardiness, misconduct, negligence and such is a must in order to further improve our services. There is no penalty fee for making the following; car type, add-ons: GPS navigator, baby/child seat, road-side assistance, and switching of pick up location within serviceable area. Non-allowable changes: method of payment; client name; changing dates later than the original. If you wish to make these changes, you must cancel your original Car Rental Agreement with cancellation fee and re-book at the current rate. If you need to cancel at least 6 days ahead of your schedule pick up date, you may cancel and request a refund less a PHP 3,000.00 cancellation fee or as indicated in the Important Instruction for NO SHOW. Cancelling your reservation within 6 days of the schedule pick up date or if you fail to pick up the rental vehicle, you may request a refund less PHP 6,000.00 cancellation fee or as indicated in the Important Instruction for NO SHOW. We understand that sometimes you travel plans change. But, NO REFUND for pre-termination (early check out) of on-going rented car. To request a refund, email a request at booking@carrentmanila.com. The soonest (prepaid amount less the cancellation fee) will be refunded either by cash or check refund.